BOSTON – Geraldine Ferraro, a lawyer and former congresswoman who in 1984 became the first woman to seek the vice presidency on a major political party ticket, died March 26 at Massachusetts General Hospital in Boston. Ferraro was not only the first woman on a major party’s presidential ticket, she was the first Catholic Democrat to be nominated after abortion became a significant issue in political campaigns. A family representative said she had been suffering from a type of blood cancer known as multiple myeloma, which was first diagnosed in 1998. She was 75 years old. The Associated Press reported that a funeral Mass for Ferraro was to be celebrated March 31 at the Church of St. Vincent Ferrer in Manhattan. AP said attendance at the funeral would be limited to friends and family and that no press coverage would be permitted. Ferraro is survived by her husband of 51 years, John Zaccaro, and her children, Donna, John Jr. and Laura. From the first day of her campaign for vice president – as running mate of former Vice President Walter Mondale of Minnesota – Ferraro was challenged about how she could be a “good Catholic” and vote as she did in support of legal abortion. Throughout the campaign, Ferraro was met by pro-life protesters and was regularly challenged for saying that, although she accepted church teaching that abortion is wrong, a range of political positions on the topic could be acceptable. In accepting the nomination for vice president July 19, 1984, at the Democratic National Convention in San Francisco, Ferraro stressed family, fairness and hard work. She traced her roots from an Italian immigrant family growing up in the New York borough of Queens and her dreams of a better future. She was not only the first woman to seek the vice presidency but also the first Italian-American. She was the fifth Catholic to run for the post. “Our faith that we can shape a better future is what the American dream is all about. The promise of our country is that the rules are fair. And if you work hard and play by the rules, you can earn your share of America’s blessings,” she said. She described herself as “a tough Democrat” and had a mixed record on issues of interest to Catholics. She always said that as a matter of conscience, she was against abortion. “I am Catholic and I accept the teachings of my faith,” she once said. But she opposed legal restrictions on abortion. That view drew criticism from then-Archbishop John J. O’Connor of New York, who said church teaching was very clear in opposing abortion. “I do not see how a Catholic in conscience could vote for an individual explicitly expressing himself or herself as favoring abortion,” he said. Another prominent Catholic Democrat, then-Gov. Mario Cuomo of New York, defended her position in a major speech on abortion and public policy at the University of Notre Dame. His address played a prominent role in that election year’s national debate over church teaching on abortion and the role of Catholics in public office. On other issues, Ferraro received high marks from groups such as the Catholic social justice lobby known as Network for her stands on defense spending, foreign policy, human rights, jobs and food stamps. She also supported tuition tax credits for parents who send their children to parochial school. During the presidential campaign, some questions were raised about some of her husband’s business dealings, which the couple blamed on bias against Italian-Americans. Her husband was charged with fraud in a $15.5-million real estate deal, but he reached a plea agreement, so was charged with a misdemeanor and had to pay a hefty fine. After Ferraro and Mondale lost the 1984 election, she became a fellow at the Institute of Politics at Harvard University’s Kennedy School of Government. She ran unsuccessfully for a U.S. Senate seat in 1992. In 1993, President Bill Clinton named her U.S. ambassador to the U.N. Commission on Human Rights. She held that post until 1996. She co-hosted CNN’s “Crossfire” in 1996 and 1997 and then in 1998 ran for the Democratic nomination for the U.S. Senate but lost the primary to then-Rep. Chuck Schumer. 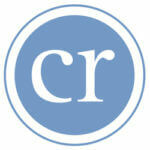 In June 1999, she began working with a Washington area public relations firm focusing on women’s issues. In 2008, she worked on then-Sen. Hillary Rodham Clinton’s campaign for the Democratic nomination. 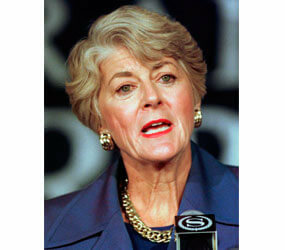 Geraldine Anne Ferraro was born Aug. 26, 1935, in Newburgh, N.Y., to Antonetta and Dominick Ferraro. Her mother was a first-generation Italian-American who worked as a seamstress, her father was an Italian immigrant who owned two restaurants. She had three older brothers, two of whom died early in life – one in infancy and one at age 3. Her father died when she was 8 and her mother had to work in the garment industry to support the family. Ferraro attended Marymount Manhattan College on a scholarship and graduated with a bachelor’s degree in English in 1956. She was the first woman in her family to have a college degree. Ferraro began teaching in public elementary schools, but she also began attending law school at Jesuit-run Fordham University, earning her law degree in 1960. She was only one of two women in her class. In January 1974, she was appointed assistant district attorney for Queens County, N.Y., and was first elected to Congress in 1978. She represented New York’s 9th District, a blend of working-class Italians, Greeks, Asians, Jews and Latinos. When she first disclosed that she had cancer in the late 1990s, Ferraro told reporters she hoped she’d live long enough to see the first woman elected U.S. president.